Peter Austen, Ph.D. is a mountaineer, mountain guide with many years experience, business consultant, author, educator and adventure company operator. He speaks five languages and has academic degrees from Canada, England and the USA. He has lived in six countries and has explored and taken groups to seventy four more. 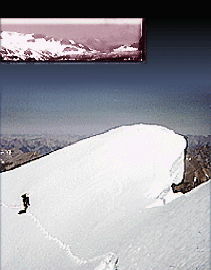 He was the leader of British Columbia's first and Canada's only truly National Everest expedition, the "Climb for Hope." A true adventurer at heart, he has climbed mountains and mountain walls on five continents.